Hogan knew firsthand how opioids could rapidly takeover a community. While covering the crisis for STAT News, Hogan made four trips to Somerville to attend funerals for childhood friends who had overdosed on opioids and heroin. As he struggled to come to terms with these losses, Hogan began investigating how drugs had taken over the town. The film details how many of his friends had begun taking OxyContin in high school, “not realizing that this was a serious drug like heroin.” As people in Somerville turned to increasingly more dangerous drugs such as heroin and synthetic opioid fentanyl for their fix, the community was ill equipped to handle the epidemic. Somerville simply did not have the resources to deal with the plague that was hitting its community and as the pharmaceutical companies continued downplaying the addictive properties of drugs like OxyContin a deadly feedback loop emerged. This documentary provides an illustration of the crisis that is playing out similarly in small towns all across America. In 2016, 64,000 people in the U.S. died from drug overdoses. Despite President Trump’s promise to confront the opioid epidemic, addiction continues to take more lives every day and meaningful policy change has yet to be made. Many pubic health experts believe that interventions that utilize new developments in science and technology are necessary to help stem the epidemic. I believe that the health tech industry has a unique opportunity to address the opioid crisis head-on with an expansion in digital solutions. History has shown that addiction concerns can be mitigated with robust public health interventions. One classic example is the huge mobilization that has occurred around smoking cessation. Treatment for nicotine addiction, a health concern that currently affects more than 50 million Americans, has historically received large amount of attention and funding. Without the current funding that goes to treatment, the NIH has calculated that there would be more than 30 million additional people suffering from nicotine addiction today. Robust research and funding have allowed nicotine addiction treatment to become cheaper and more easily accessible over time, but in the case of opioids we have not yet seen a similar surge in solution development. While the topic now has been finally getting attention, those suffering from opioid addictions who are looking for low-cost treatment options will not find many. Despite opioid overdoses being the number one injury-related cause of death in America (115 Americans die every day from accidents), few entrepreneurs have tried to tackle the issue directly. A new contest by the Food and Drug Administration (FDA) and recent legislation put forward by members of Senate are trying to motivate more health tech companies to help fix the opioid epidemic. The FDA believes that health tech innovations could help solve challenges related to detection, prevention, and treatment of opioid addiction and it has launched an innovation challenge for health tech companies that focus their resources on combatting opioid addiction. The FDA’s Center for Devices and Radiological Health hopes that the competition will lead to the development of new devices and technologies to combat addiction. Scott Gottlieb, the current FDA commissioner, has said that, "We’re hopeful that in collaborating with public health-minded innovators, we can identify and accelerate the development of new technologies, whether a device, diagnostic test, mobile medical app, or even new clinical decision support software, that can contribute in novel and effective ways to help reduce the scope of this crisis.". The FDA has promised to work to collaboratively develop the most promising devices that come out of the contest and to provide investigational device exemptions so they can get on the market faster. For any aspiring entrepreneurs reading this article, the contest will be accepting applications until September 30. There is also beginning to be a response in the legislative community when it comes to trying to foster innovation solutions to the crisis. In May, the U.S. Senate put forth a new bill, the Expanding Telehealth Response to Ensure Addiction Treatment (eTREAT) act, introduced by Senator John Thune, R-S.D., and sponsored by Mark Warner, D-Va., Ben Cardin, D-Md., John Cornyn, R-Texas, Brian Schatz, D-Hawaii, and Roger Wicker, R-MO. This bill promises to increase access to telehealth resources in remote locations, where the opioid epidemic has hit the hardest. As the name implies, this new piece of legislation would remove site restriction requirements set in place by Medicare on telehealth resources. Currently, a Medicare patient can only receive a reimbursement for substance use disorder treatment, via a telehealth service, if they receive care from a Medicare approved location, known as an originating site. This is problematic as it is often the case that those who need treatment live outside the boundaries of the originating site or those sites near them are filled to capacity. Trigger Health is the first predictive system of care that works with patients with various addictions. Getting rid of telehealth site restrictions might help fill the current gap in access care for opioid addiction treatment between those who live in rural versus urban environments. Still, inequitable access to care is not the only reason that just 10% of people with a substance use disorder seek treatment. 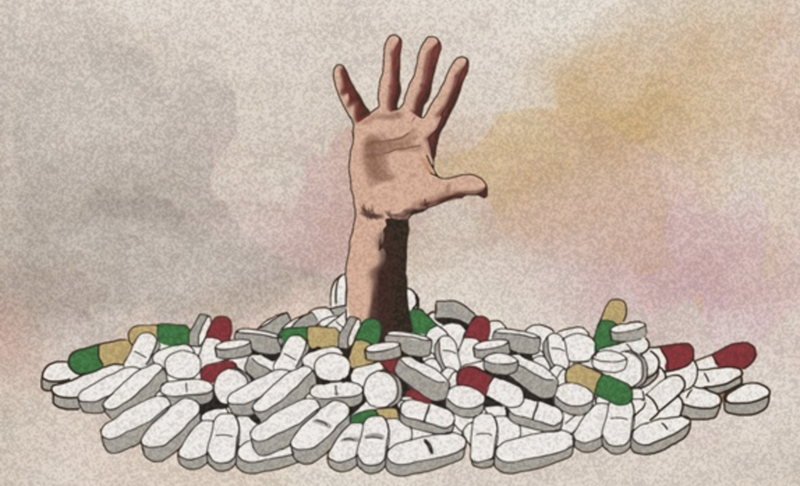 Another huge reason individuals decide not to seek treatment is due to the pervading stigma around substance use disorders, especially opioid addiction. In the future, expanding resources for addiction and destigmatizing the disease will partially rely on the work of those within the health tech industry, most likely those involved with telehealth platforms and services. Prevention telehealth apps have the ability to play a larger role in recovery than just sending positive affirmations to users. Triggr Health, for example, is the first predictive system of care for recovering opioid use disorder patients. 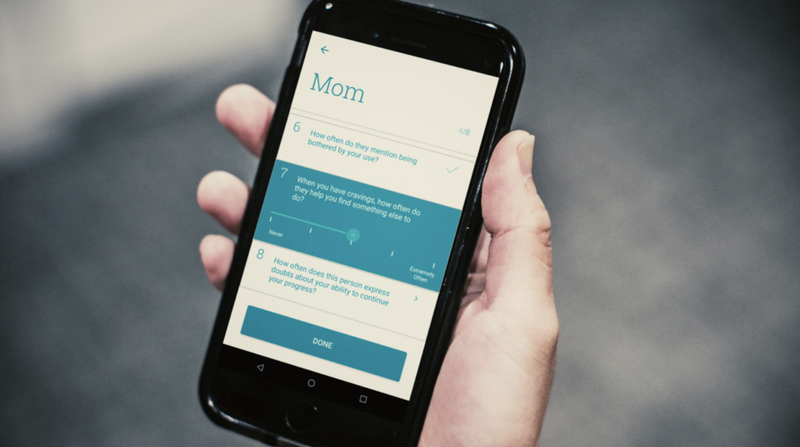 The device, a mobile app that considers many aspects of your health, can detect when people are most likely to relapse. In addition, the company is hoping to fight the stigma of addiction by purposefully leaving out words, such as “addict” and “recovery”, that it feels have been tarnished by the media. The difference between calling someone an “addict” and calling someone “a person with an addiction” may not seem that different, but it can imply a person who is defined by their health issues versus a unique person who has health issues. 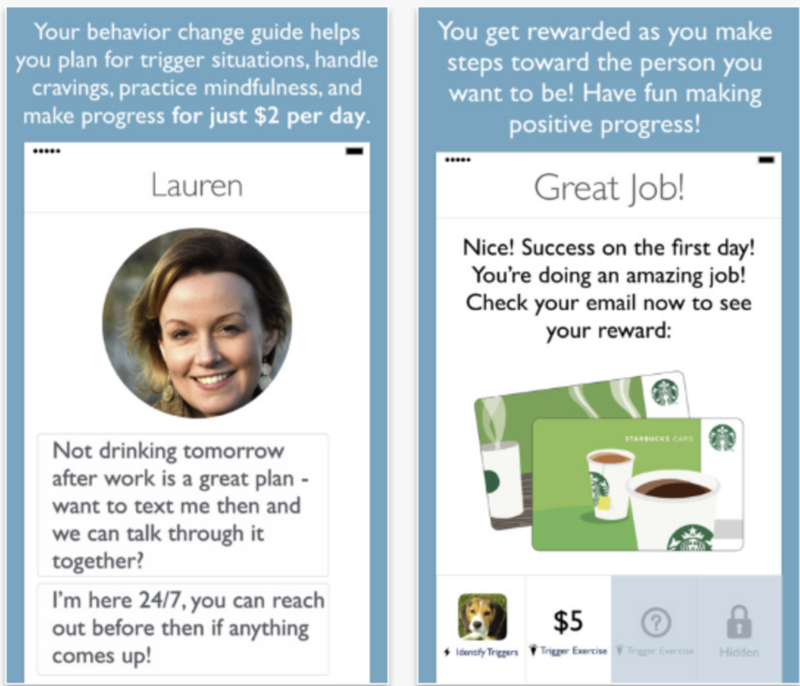 Triggr Health joins another apps that is designed to prevent relapse called Hey, Charlie. Hey Charlie was developed to warn people when they are about to make risky contacts, won the “Best Mental Health Hack” at the 2016 MIT Hacking Medicine “Grand Hack.” The idea behind the app is that people with opioid use disorder may continue using if they continue to surround themselves with others who are using and selling. They believe that by taking people out of their existing social networks and helping to shape them into a new one, with positive examples of recovery and healthy living, the chance of relapse is lower. Users who have the app will receive warning texts when they are about to send a text or receive one from a risky contact. The app is also piloting a new option that alerts users when they are in a risky neighborhood. While these new companies, and others, are using technology to reach people who may not be have access to addiction resources, it is important to note that technological innovation will never be the silver bullet to treat addiction issues. Phones and devices can be used to shield oneself from society, and sometimes the lack of person-to-person interactions can hold people less accountable to provide accurate data, or it can isolate a person who really needs human contact. Therefore, policies that fund in-person addiction therapy and treatment will remain necessary, no matter what technological innovations come around. Addiction should not be seen as one person’s unique failure, nor as the end of his or her life. The need for new technology that handles the multiple aspects of addiction treatment is more necessary than ever. We all have a role to play when dealing with this epidemic. For me, Runnin’ was a brief introduction into the wreckage of addiction. My eyes are now open, and I see things very differently.